St Mary's Church is a medieval building, largely unspoilt by Victorian renovation, standing upon a hill overlooking the river Kennet. The congregation is small but friendly, and welcomes all-comers to services, which are held two or three times a month. The church is regularly open (as indicated by a "church open today" sign outside). For service times, events and contacts see the St Mary’s website. 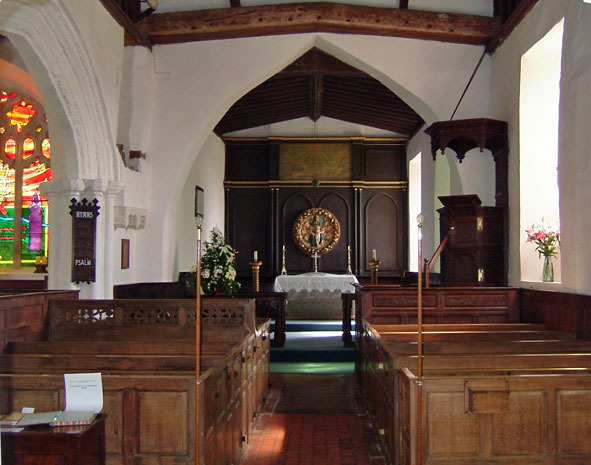 See an architectural history of St Mary's Church. See a list of rectors since 1241. Parish registers survive from the early seventeenth century. Here is a guide to where copies can be consulted. Day-to-day management of St Mary’s is the responsibility of the parochial church council, which is elected from a roll of regular church-going parishioners. This roll is maintained by the churchwardens, who can be contacted via St Mary’s website. 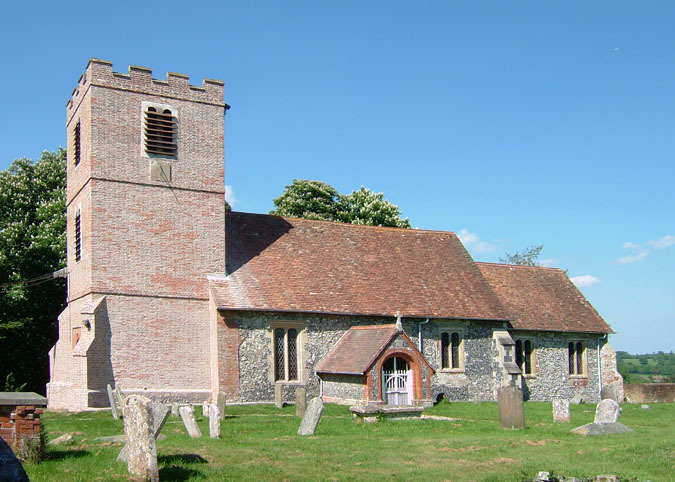 The ecclesiastical parish of Hamstead Marshall has since 1981 been part of a united benefice which also includes Enborne, West Woodhay, Inkpen and Combe. Since 2005 this benefice, and the separate benefice of Kintbury with Avington, have been jointly served by one rector. Details of the Walbury Beacon benefice can be seen on www.walburybeaconbenefice.org.uk. The joint benefices fall within the deanery of Newbury, which in turn comes under the suffragan bishop of Reading. For more information on the diocese of Oxford, which also covers Oxfordshire and Buckinghamshire, see the diocesan website.